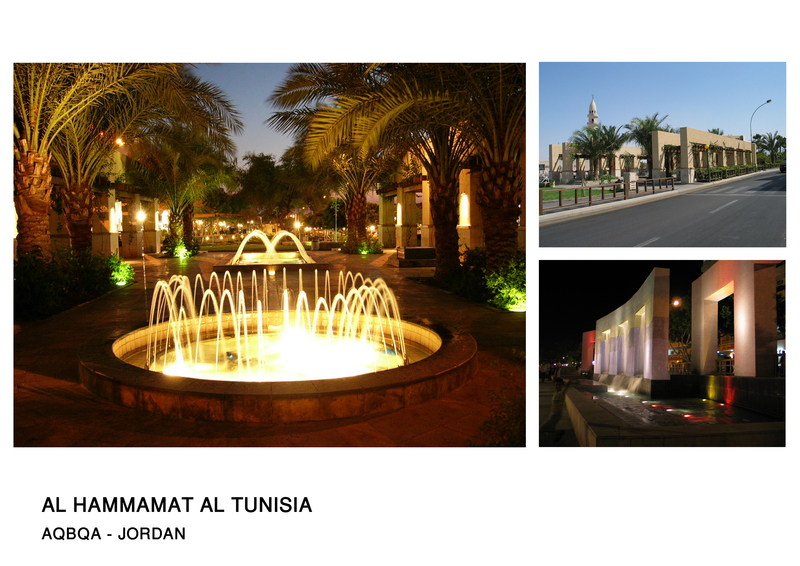 This project is a renovation and redesign of a public park located in the town center of the city of Aqaba. The south west end of this linear park is featured with an open theater which acts as a gathering space for people entering the park. The north east end is featured with shaded arcade as an urban landmark visually connecting the park with the adjacent princes Haya Roundabout. At the middle zone there is an important feature. 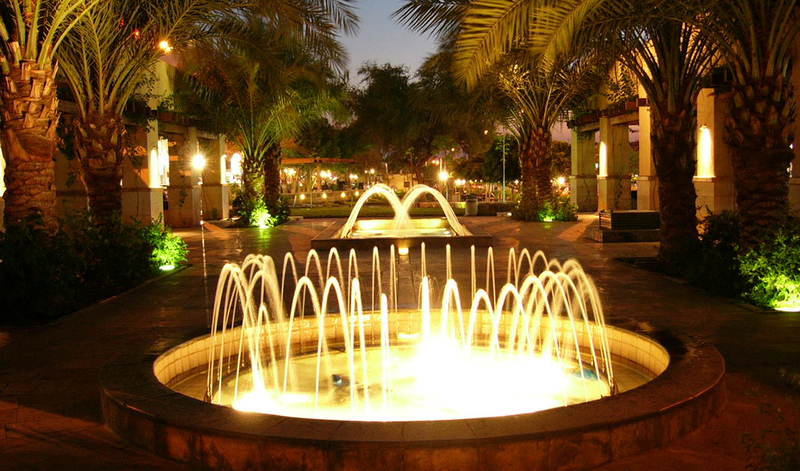 It is a Waterfall designed to integrate and dissolve the impact of the strong visual axis coming from the adjacent main street with the space of Al Hammamat Al Tunisiyah Park. The main movement spine is along a wavy path bordered by trees and greenery with occasional branching out connections resulting in a smooth integration with the two main streets bordering the project’s site. This scheme allowed passers by to move safely in and out of the park.